The ERA-NET: Aligning national/regional translational cancer research programmes and activities - TRANSCAN-2 is a five-year project funded by the European Commission's Horizon 2020: the EU Framework for Programme for Research and Innovation. It is the continuation of the previous ERA-NET on translational cancer research TRANSCAN. TRANSCAN-2 is a collaborative network of ministries, funding agencies and research councils with programmes in translational cancer research. The network is composed of 28 partners from 19 Countries. The project will run from January 2015 to December 2019. The European Cancer Patients Coalitionhas been invited to participate in TRANSCAN-2. ECPC is represented by Kathi Apostolidis, ECPC Vice President, in the Scientific Advisory Board (SAB), one of the three main governing bodies of the network. 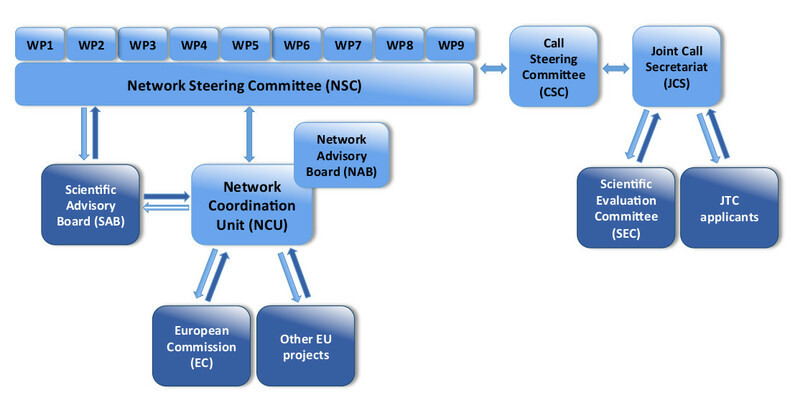 The SAB serves as a source of input on and feedback about the work of TRANSCAN-2 and is in close collaboration with the other two bodies: the Network Steering Committee (NSC), as the strategic decision-making body and the Network Coordination Unit (NCU), as the body responsible for the day-to-day management and the external TRANSCAN-2 consortium representation. TRANSCAN-2 is funded by Horizon 2020: the EU Framework for Programme for Research and Innovation, Grant Agreement N° 643638.